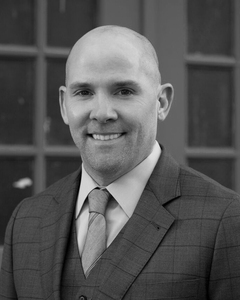 Since 2005, Chris McComas has connected hundreds of buyers and sellers throughout Chicagoland. He has successfully guided his clients through a variety of real estate markets. Experience and knowledge are what separates Chris from other realtors. Chris specializes in residential properties from condos to estates to multi-unit buildings. Since winning @properties Rookie of the Year award, Chris when on to join the exclusive top 1% producing broker club. These achievements are rooted in his ability to accurately communicate market trends and develop strategies to achieve his clients' goals. Over the years, Chris has developed a team of industry professionals –attorney's, inspectors, appraisers, mortgage brokers, moving companies and general contractors. Chris understands the value of being a resource. His goal is to make his clients' entire real estate experience seamless. No stress. No strain. Chris was born and raised in Evanston. He grew up reading Mike Royko, catching improv shows at Second City and rooting for Walter Payton. After graduating from the University of Wisconsin-Madison, he moved to Chicago. He now resides in Fulton Market with his wife, Michelle, and their dog, Cassius Clay Cuddlesworth. "Chris is simply one of the best. His knowledge, professionalism, patience and advice helped us land a home we plan to be in for decades to come." "Chris was attentive and professional from start to finish throughout a lengthy and difficult closing process. We were fortunate to have his assistance and highly recommend him." "Chris was great to work with. He helped guide us through the process in finding the perfect property. It was a challenging time as a buyer to find a place in a "seller's market". Chris put us in an informed position with his sales analysis for comparable properties. Chris remained diligent and never stopped working to find us a great property at a competitive price." "Chris and Jennifer were wonderful. Responsive, attentive, extremely well informed and knowledgeable. They were able to find me a wonderful 2 bedroom condo in a market where there were few to no options. Not only were they good at their jobs, they were easily relatable and I felt like I have made two new friends here in Chicago." "Rock. Star. Professional and dependable agent who advocates for you. And also hilarious."